GoCanvas exists because of our mission to create an easy to use platform that helps companies, big and small, transition their processes and forms to mobile devices without having to invest thousands of dollars on IT development and infrastructure. Even with all the advancements that we have made to the platform over the past 9+ years, we still get feedback from businesses that say "I can build this cheaper myself". We strongly disagree. And in order to dispel all the myths about custom app development costs, we'll be laying out all the facts to let you decide for yourself. When outsourcing or doing in-house custom app development, there are many things you must decide from the beginning stages. Will it be IOS, Android, Windows or all three? What types of user functionality are essential? How will it be designed? What will the user experience be? Where will the data collected reside? What does the app need to connect to? 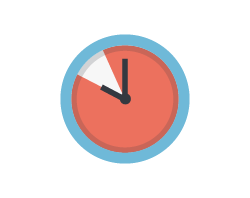 These and many more items will significantly affect the development hours and overall budget spent building your app. If these parts aren't clearly defined and map out in the early stages, it can end up costing your company THOUSANDS in the end. To help show how costs can easily add up, Clutch conducted a survey of 12 leading mobile application development companies. They were researching to see what the median cost range would be to build an app for an IOS device. They also wanted to see the average median hours quoted for development, which pieces of functionality affected cost the most, and which stages of the development were most costly. 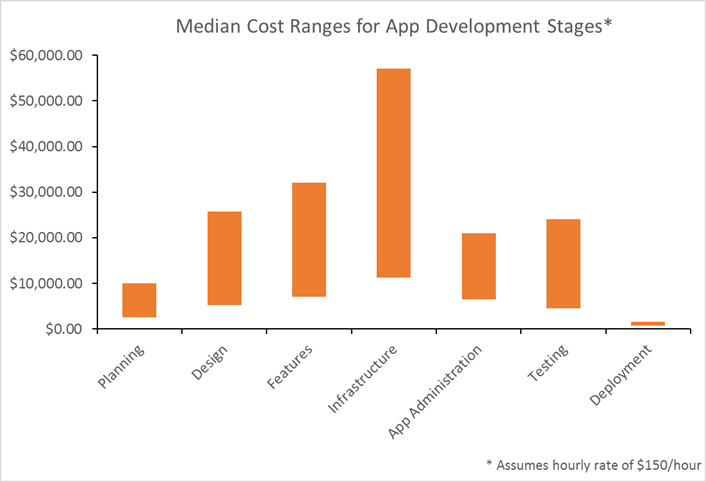 Below is a chart of Clutch's findings specifically related to costs associated with each stage of the custom app development process. It is important to keep in mind that these numbers do not include technical support, the cost of monthly web/server hosting, and progressive software updates. These would be additional recurring costs that any company who builds their own app would be forced to take on since they are now hosting their own application. Also remember, that this was just for IOS. 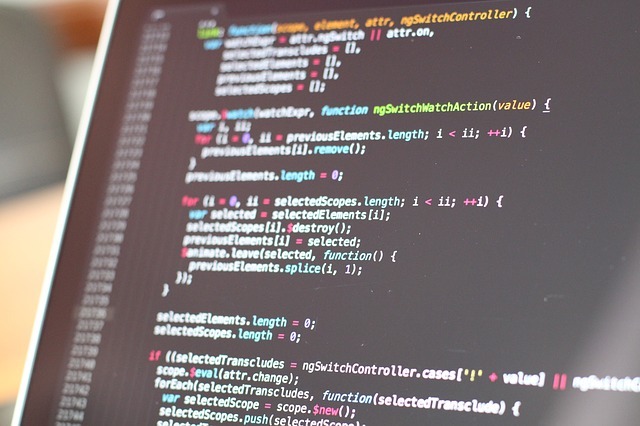 If a version for Android was needed, a more complicated and time-consuming development period would need to take place as well. The biggest glaring difference between deploying an app using GoCanvas versus custom development would be the time and cost it takes to deploy. A survey conducted by Kinvey, a mobile "Backend as a Service" company, found that 56% of companies who developed apps internally spent 7 months or more on just a single application. In addition to that, 54% of the companies surveyed said that their budget to build and deploy that single application easily exceeded $100,000. We know that this is not always the case. Some simple applications, built for just one operating platform, can cost as "low" as $25,000 according to developer Savvy Apps. But any application requiring backend reporting or integration will always cost more. And here lies the beauty of GoCanvas. All the core functionality that most companies need and want is already found within the platform. Photo capture, signatures, barcode scanning, GPS, cloud data storage, API configuration, and more are all found within the no-code GoCanvas platform at absolutely no added cost. This allows companies to scale the creation and usage of mobile apps from a couple users to hundreds in a matter days, not months. Read the report below to see why GoCanvas is the smart choice for developing your company's mobile app strategy.